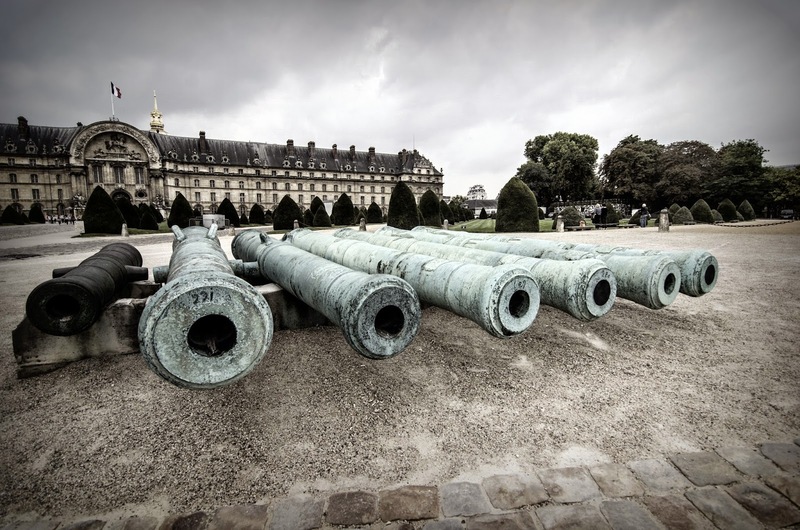 In front of Les Invalides, there are several canons that are either French made or that the French took from their enemies during the many wars that we participated in throughout the years. These ones, for instance, are precisely Turkish. FYI, In France, whenever we have a new President, the Invalides canons are used for a 21 canon salute. I'm surprised they're still in working order for a salute. For many years outside Les Invalides, there used to be a pair of WW2 German Panther tanks, I think from the Liberation of Paris. They were somewhere behind the cannon barrels in your photos Eric.